SR 350, Lt. Old SR 350,Lt. Stitts Hill,Rt. Chesterville Rd.,Rt. Shiners Ln at top of hill. At end. Extremely Private! 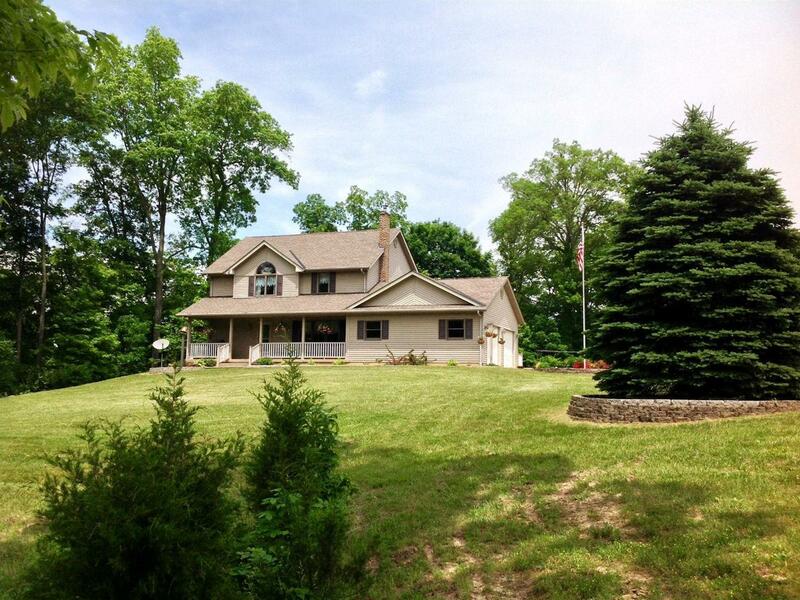 3BR, 2.5BA home on 23.8 acres of mature woods!1 owner,custom built,equipped kitchen,Pergo flrs. thru-out 1st fl.,1st fl. laundry,solid 6-panel oak doors & natural stained oak trim,Andersen windows,spacious liv. & din. rms, lg. MBR w/trey ceiling,MBA w/Jacuzzi Tub, full bsmt w/walk out,wood add-on,2 car att.& 30x40 car gar & more! NOTE: This property was sold on 2/15/2017 and is no longer available. The details listed below are believed accurate to the date of the sale and are subject to change.